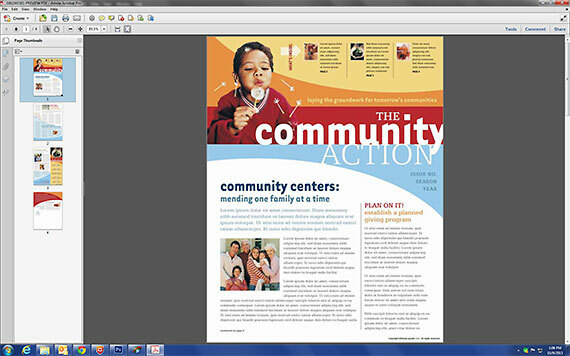 Businesses often need to send or post their completed newsletter or brochure online. The easiest and most practical format for distributing a document is the PDF. The PDF is superior to other formats because everyone has access to it, your document maintains its format, and you can secure the document from being edited. However, if your document is an 11 x 17″ spread designed for print, you will need to divide the document into single 8.5 x 11″ consecutive pages in order to make it view and read correctly. 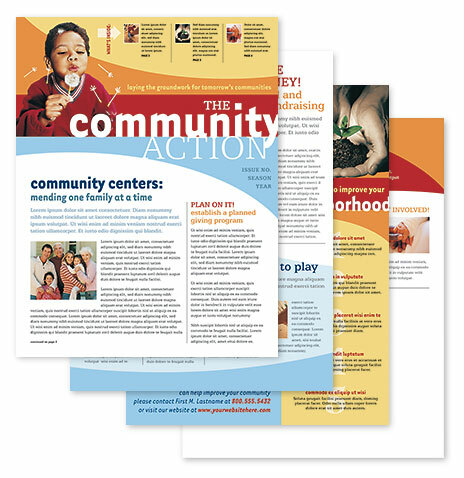 There are two methods for dividing your print layout: by cropping your PDF after it has been created, or by manually dividing the content on each 11 x 17″ spread and cutting and pasting the elements into a new 8.5 x 11″ document. The second option may require quite a bit of additional editing. 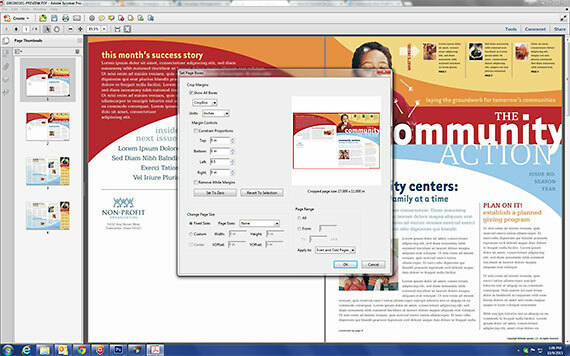 The fastest way to separate your layout into individual pages, while maintaining the design integrity, is to create a PDF of the document and crop it using Adobe Acrobat. If your text crosses the fold line, you might want to rearrange those elements before creating your PDF. To show the Page Thumbnails panel, click on the Page Thumbnail icon at the top left. Copy each spread in the Page Thumbnails panel, so you have two of each page. 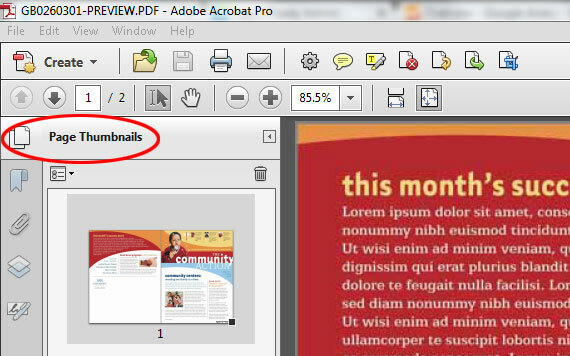 Tip: To copy a page, hold the Ctrl key while dragging the page thumbnail below the selected page. 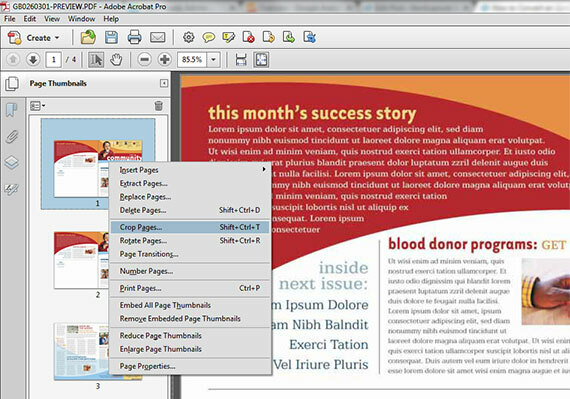 On the first spread, right click on the Page Thumbnail and choose Crop Pages. Under margin controls, enter 8.5 into the box for the left margin. Click Ok.
On spread 2, enter 8.5 into the box for the right margin. Click Ok.
On spread 3, enter 8.5 into the box for the right margin. Click Ok.
On spread 4, enter 8.5 into the box for the left margin. Click Ok.
Move the Page Thumbnails as needed to put the pages in their correct order. Finally, save your new 8.5 x 11″ document as a PDF. 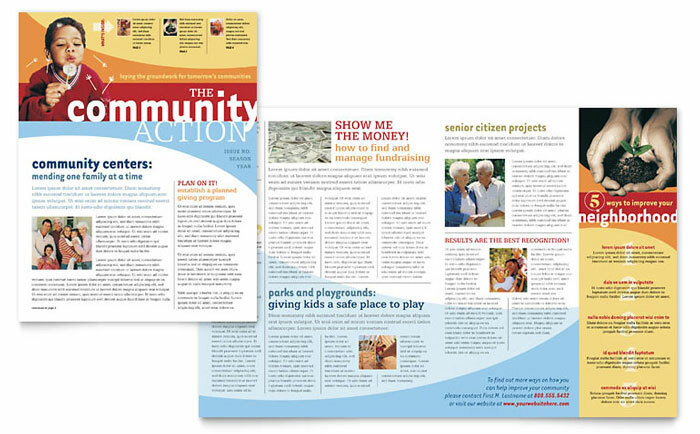 The newsletter design template used in this tutorial may be purchased at StockLayouts. If you do not have Adobe Acrobat, you can still manually divide the content from the 11 x 17″ document into single 8.5 x 11″ consecutive pages. You may have to readjust text or graphics to fit the smaller page size. Open your existing 11 x 17″ document. Create a new 8.5 x 11″ blank document with four pages. Select the individual text and graphic objects from the right half of your first spread. Tip: For help selecting and grouping objects in Microsoft Word and Publisher, visit StockLayouts Guide for editing Word and Publisher documents. Copy and paste into the first page of the blank document you created. Repeat the steps to place the remaining items into the appropriate blank pages. Create a PDF when you are finished. Thank you very much for the display and information. I had to convert Indesign 11×17 menus into 8.5 x 11 menu pages so we could print them locally.. Your Information WORKED GREAT…. Thanks for the help, I was lost trying to figure this out, BUT with your webpage it WORKED THE FIRST TIME !!!!! !